will enthrall even those who don&apos;t know a lick about Salinas&apos; Nobel Prize-winning native son. 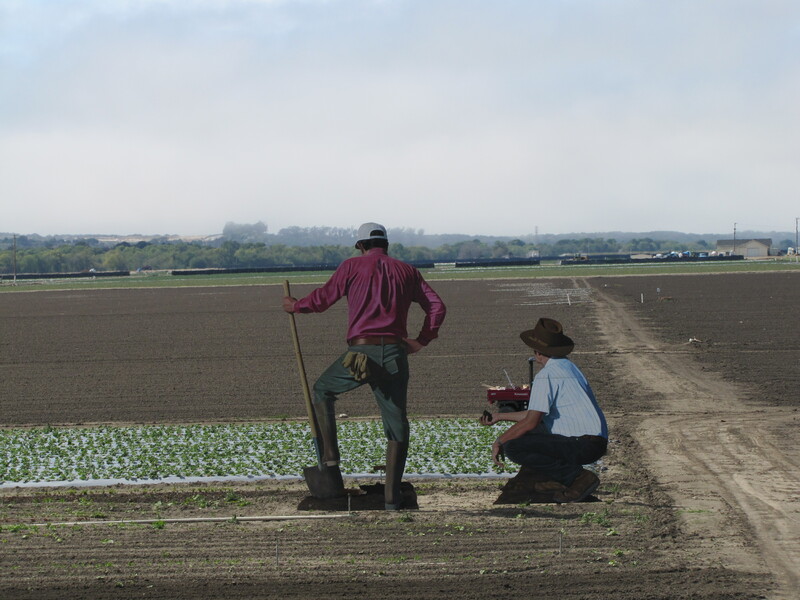 John Steinbeck called Salinas Valley &apos;the valley of the world&apos;, a reference to the workers from all over creation who came to scratch out a living from the earth, and his literary explorations were influenced and inspired by the people who migrated and settled here. 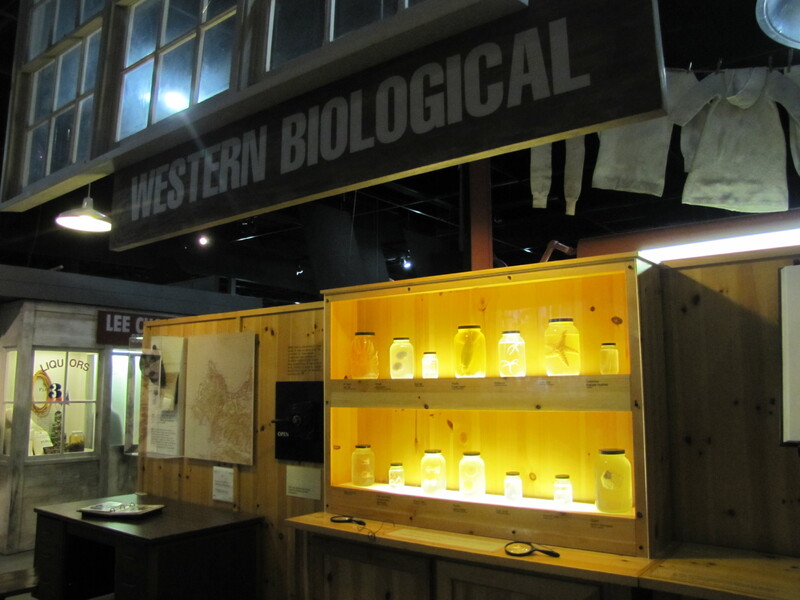 The interactive, kid-accessible exhibits chronicle the writer&apos;s life and works in an engaging way. Recently, I took a trip to the Steinbeck Center to reacquaint myself with one of Monterey County’s most loved celebrities. I have been to the National Steinbeck Center a few times for special events but have never taken the time as an adult to truly appreciate the exhibits that the museum has to offer, so I ventured to Salinas to take a closer look. After a quick (and scenic) twenty-five minute drive down Highway 68 and Main Street the glass museum came into view. The unique and elegant structure alone is a piece of art anchoring one end ofMain Street in Oldtown Salinas. Once inside I was greeted by a welcoming volunteer and Steinbeck enthusiast who gave me an interesting and informative rundown on the exhibits. He noted that it&apos;s a self-guided and interactive tour through Steinbeck&apos;s popular novels which included but not limited to Cannery Row, Of Mice and Men and The Grapes of Wrath. He also gave me a brief history lesson on the Nobel Prize winning author and his strong ties to Monterey County and the agriculture industry. Steinbeck was born in Salinas in 1902 and received much of his writing inspiration from the area and its inhabitants. 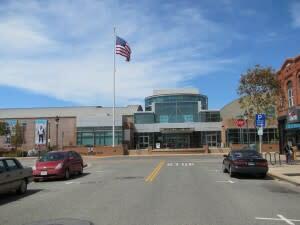 After my quick consultation I was set free into the John Steinbeck Exhibition Hall. 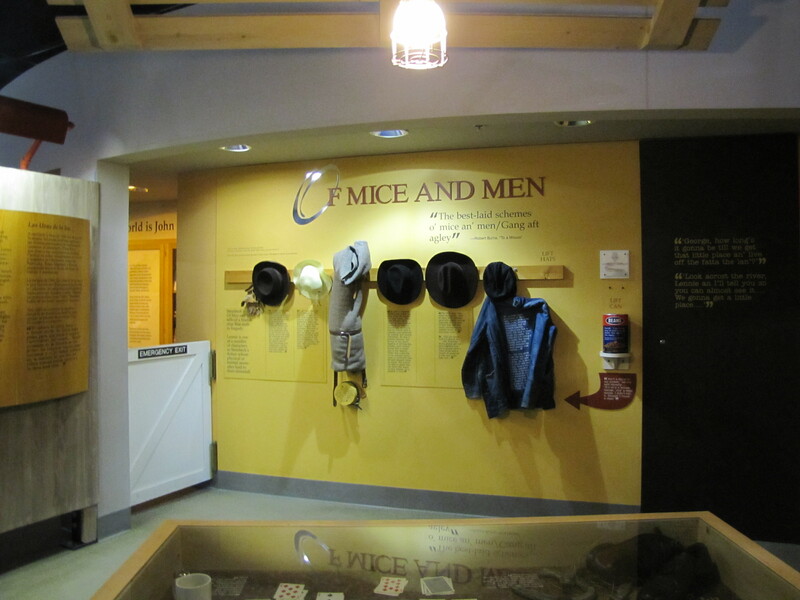 The exhibition hall takes a close look at Steinbeck&apos;s life and dives into each of his major novels through seven themed displays. The volunteer wasn&apos;t lying when he said it was interactive; several displays had multi-sensory exhibits which are great for kids! I also enjoyed the various video clips throughout the hall which were entertaining and informative (even for those who haven&apos;t read the books). The most alluring part about the hall were the various artifacts that inspired several of Steinbeck&apos;s novels. 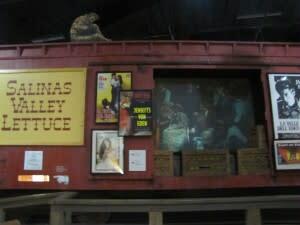 The hall includes items like the camper from "Travels with Charley," World War II memorabilia featured in "Bombs Away" and Doc&apos;s canisters from "Cannery Row." On my way back to Monterey I decided to take a quick detour off of Highway 68 to take a look at the sculptures located in the fields at The Farm. The giant figures depict the hard workers that have made the Salinas Valley so bountiful and are the same characters that John Steinbeck found so fascinating. 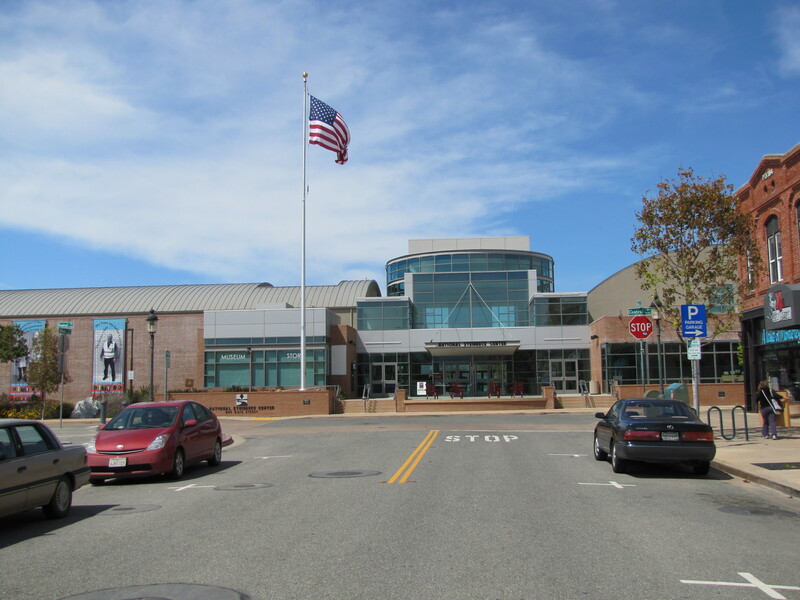 The National Steinbeck Center is located at One Main Street in Salinas, CA. 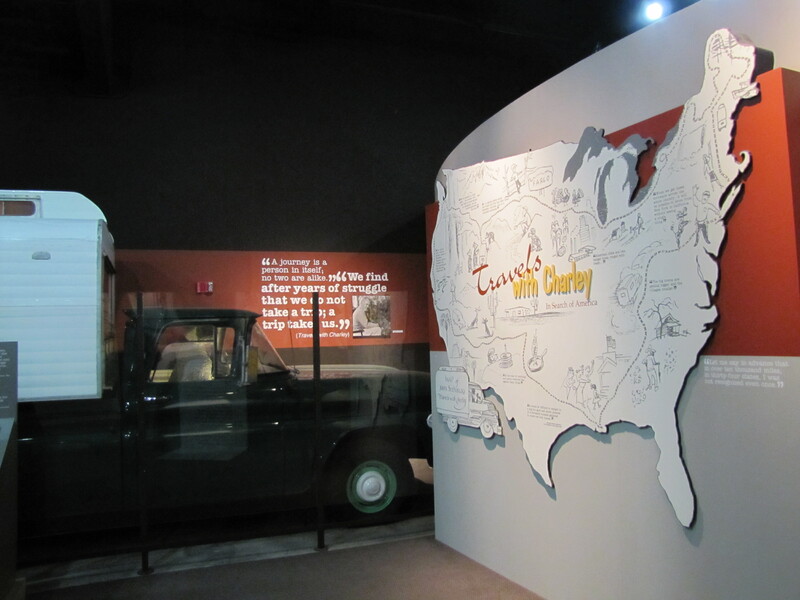 The museum is open daily from 10am to 5pm. 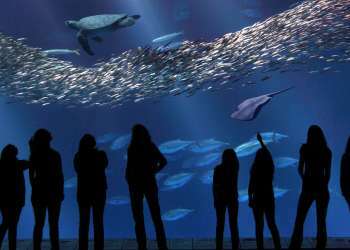 Admission is $10.95 for adults, $8.95 for seniors, $7.95 for youth (13-17), $5.95 for children (6-12) and free for children 5 and under. 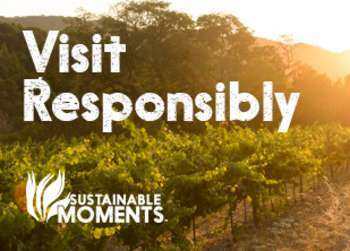 Want to learn more about John Steinbeck and the Salinas Valley? Check out the Steinbeck Festival May 3-6, 2012! There will talks, panels, tours and music all dedicated to the famous writer.